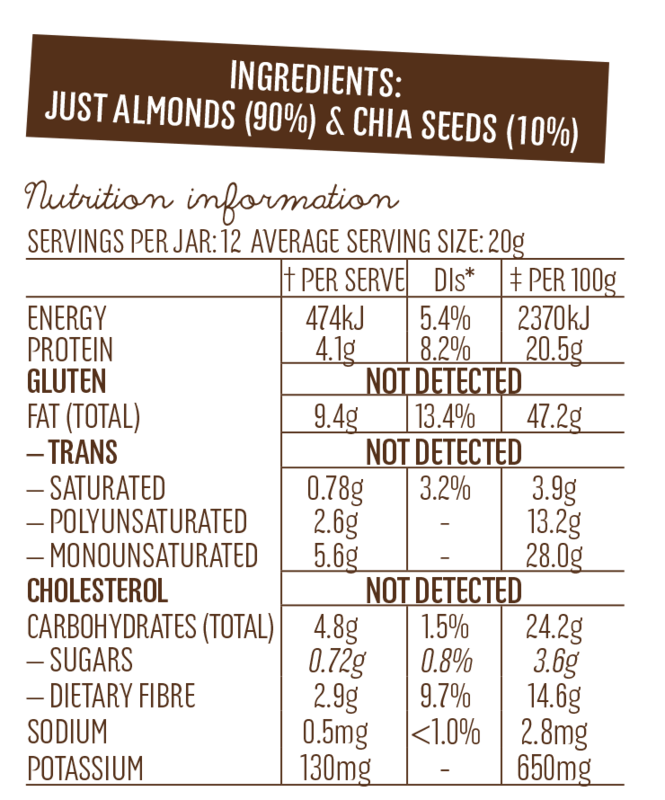 This superlicious nutritional legend is chock full of antioxidants, giving you long-lasting energy! 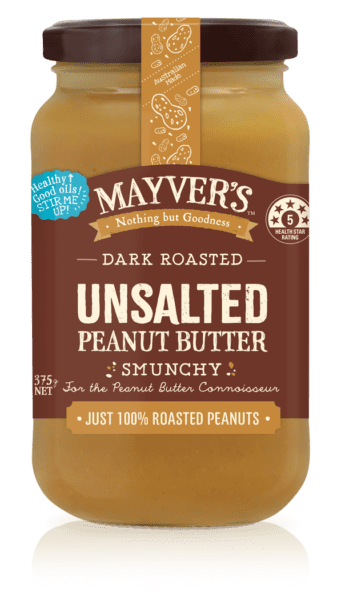 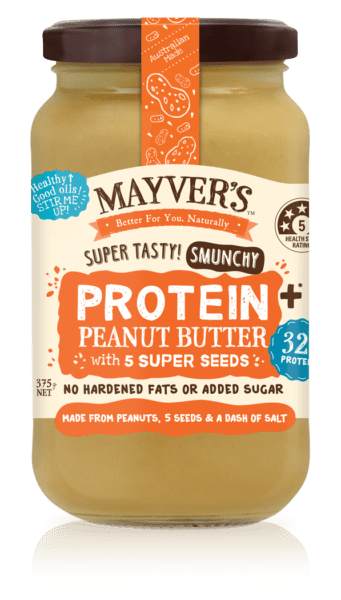 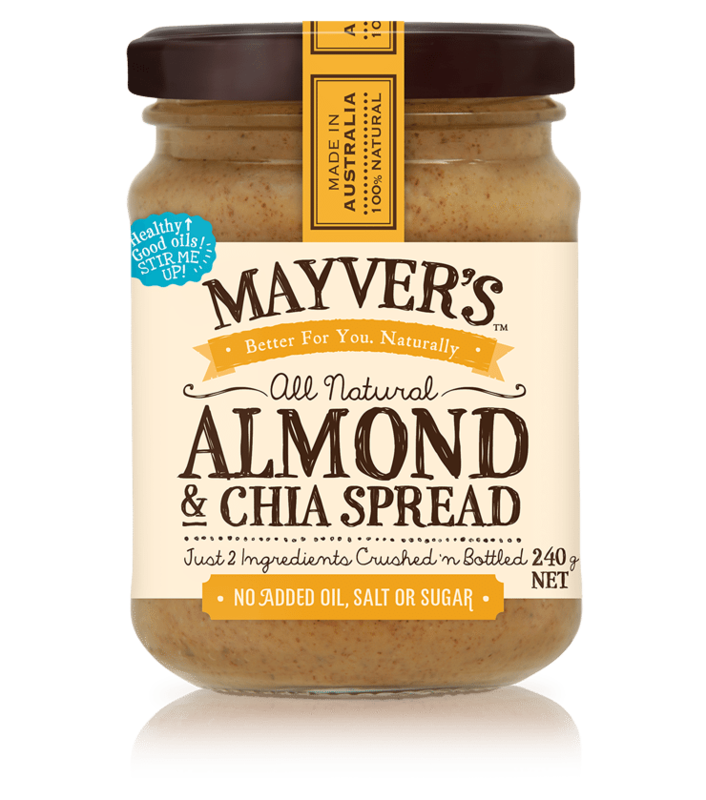 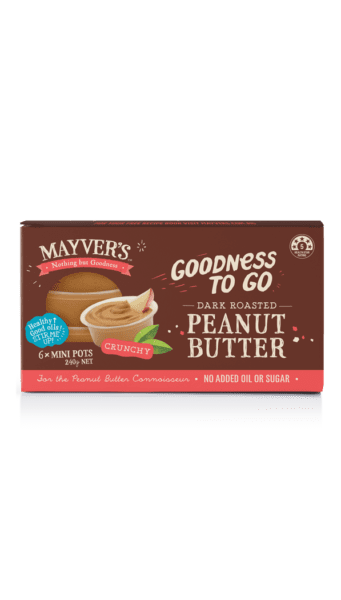 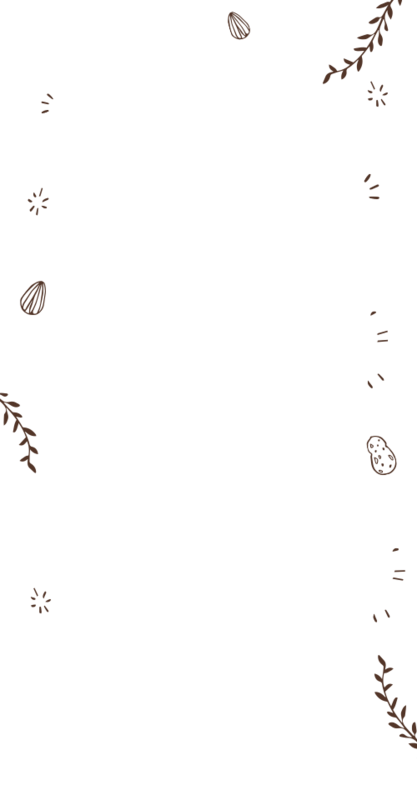 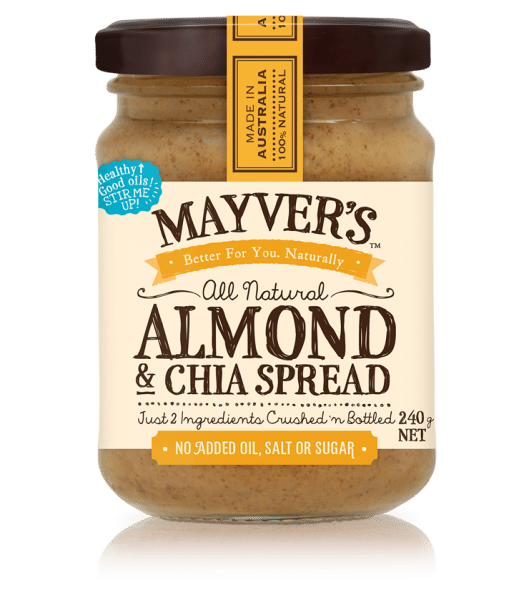 Like all our other Almond spreads, Mayver’s Almond & Chia Spread is 100% natural and locally made in Australia from nothing but almonds that have been crushed and blended with the natural goodness of chia seeds. 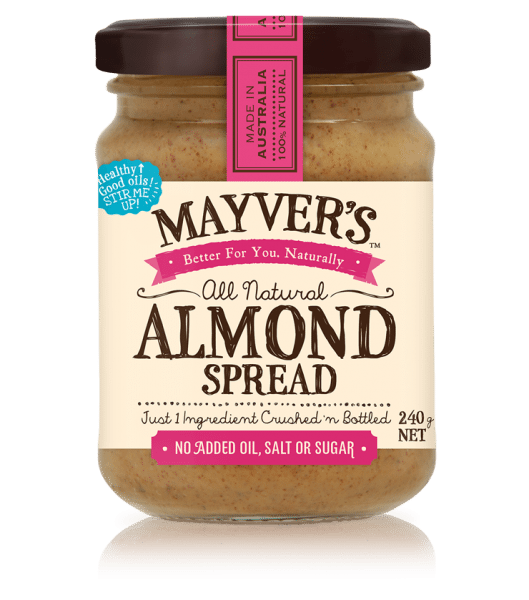 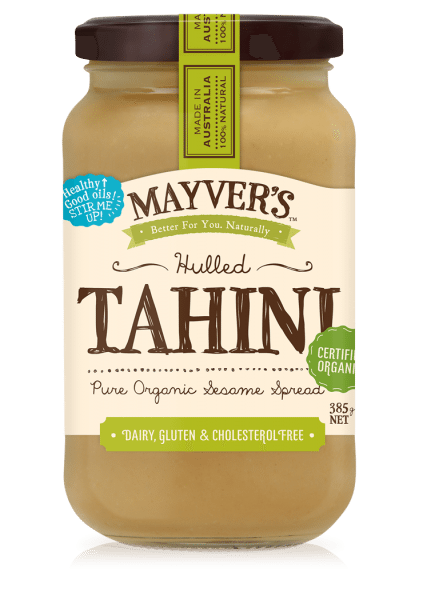 With no added oil, salt, sugar, dairy or any other ‘badditives’, it’s perfect straight up on a spoon or spread onto your favourite snack!